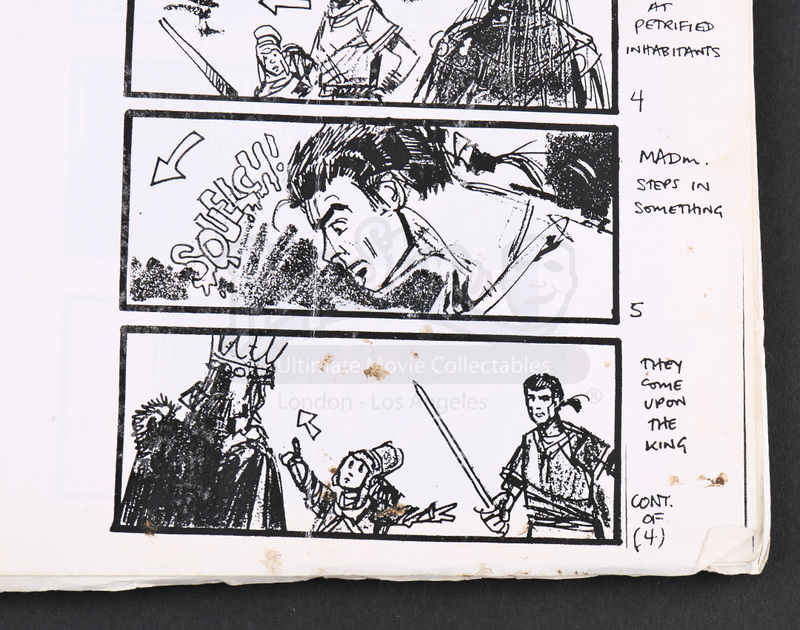 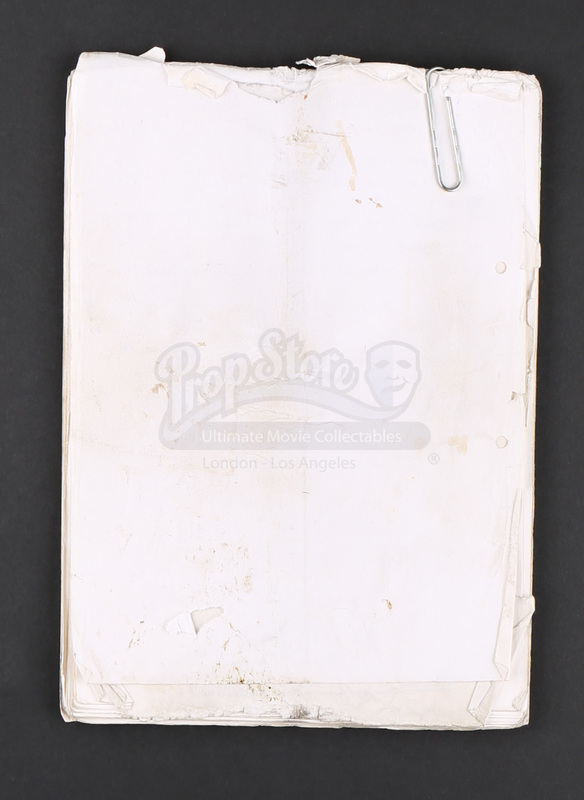 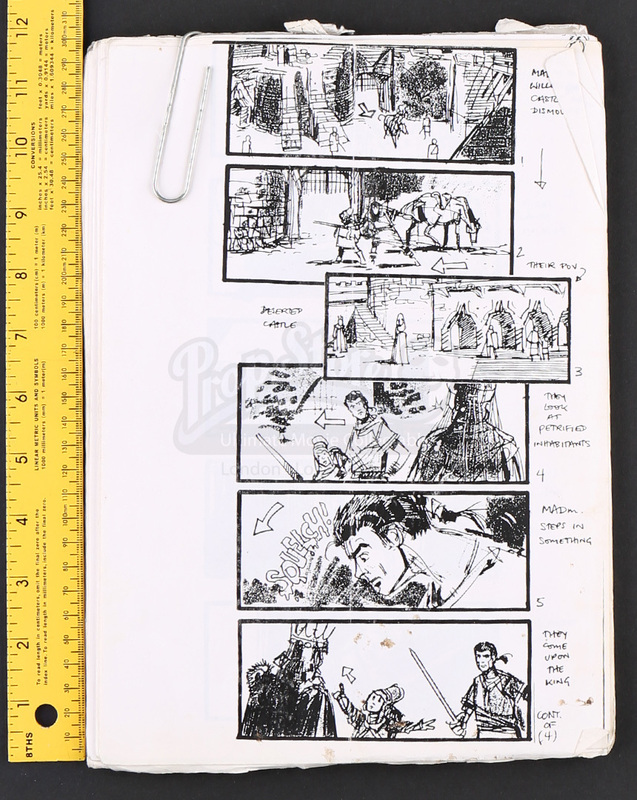 A set of printed storyboard copies from the battle scene in Ron Howard's fantasy film Willow. 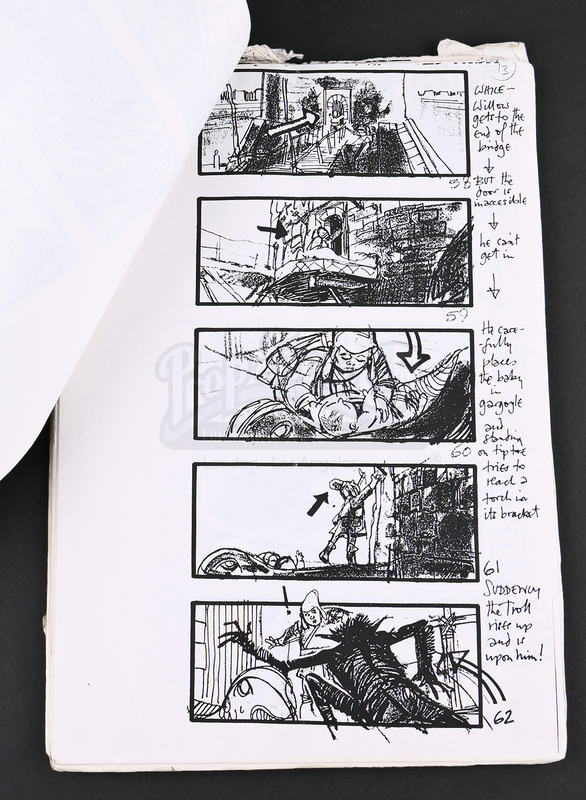 In the film, a reluctant Nelwyn, Willow (Warwick Davis), discovers an orphaned child at a river bank near his farm and must play a critical role in saving the child from an evil queen. 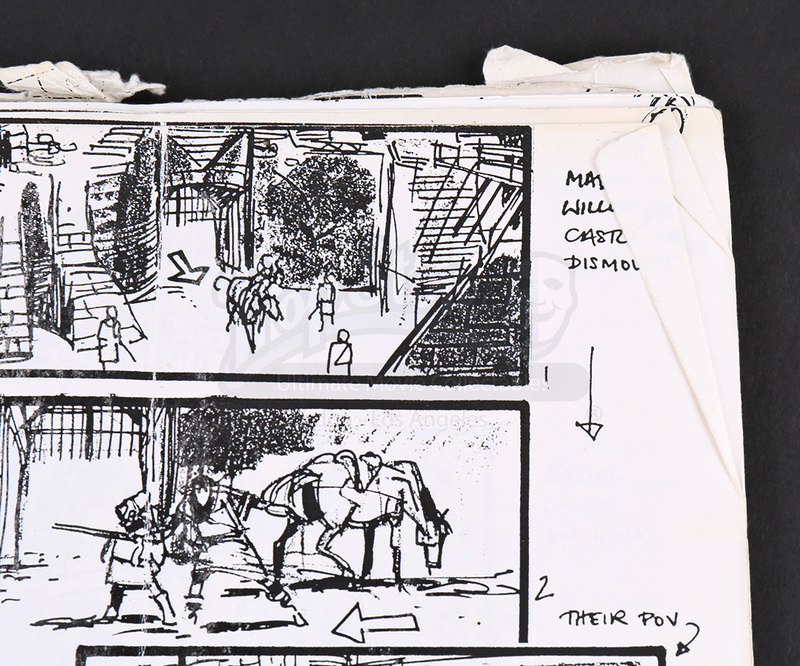 The set of printed pages detail Willow and Madmartigan's (Val Kilmer) siege on the troll-infested castle toward the end of the film. 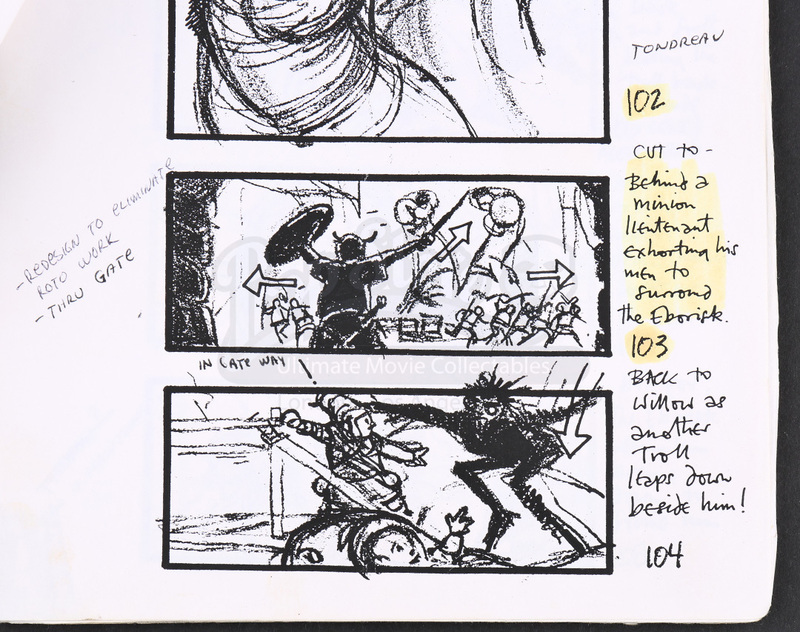 escape and wagon chase sequence. 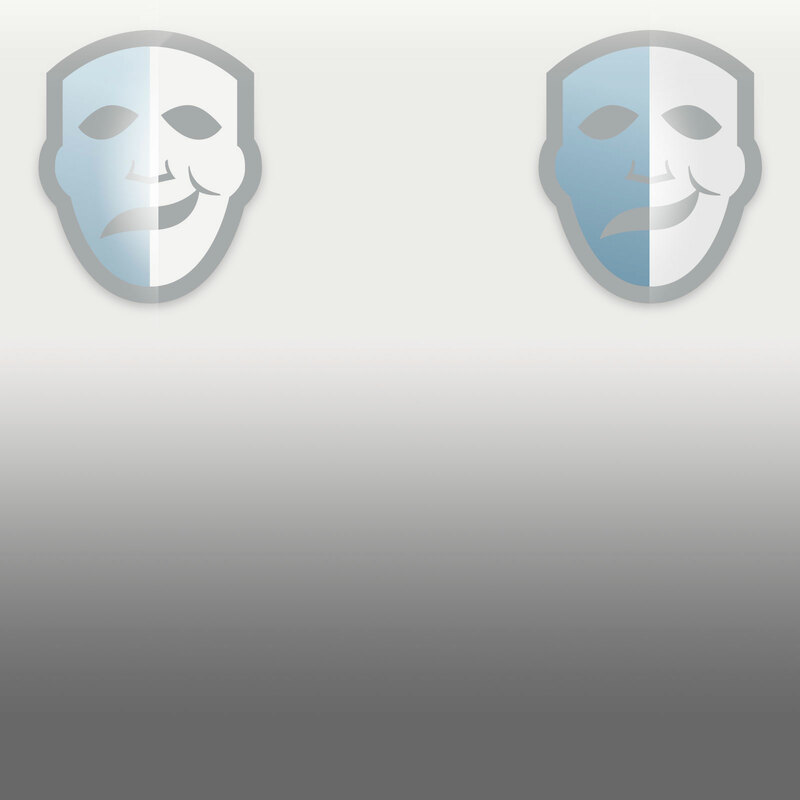 The set consists of over 50 pages, some of which featuring highlighted portions or handwritten notes. 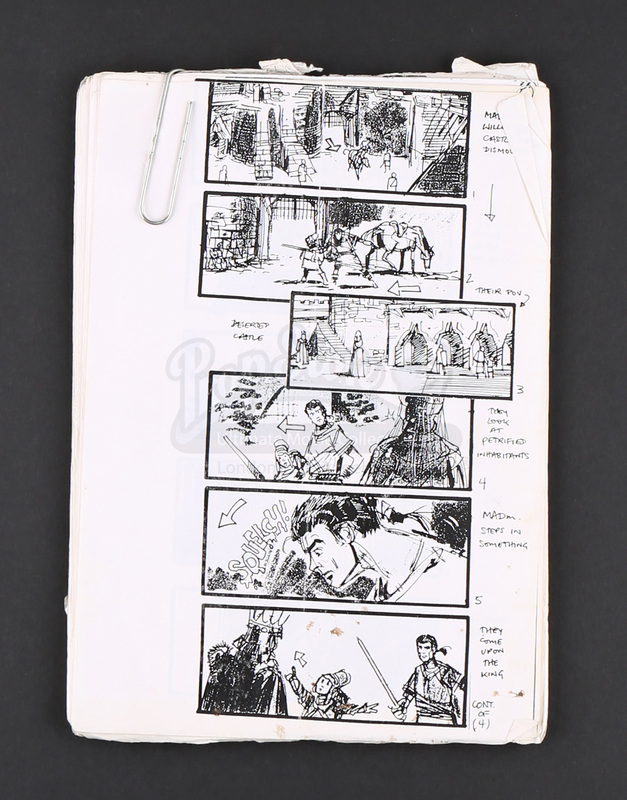 The set shows signs of wear and discoloration from production use and age, but the storyboards remain in good overall condition.